Summer is definitely on its way & the glorious sunshine inspired me to create my very first flat lay. I mentioned this amazingly awesome shorts in my last post & it is about time I showed you them in all their glory. They are from TK Maxx & feature one of my favourite flowers, Sunflowers. I teamed them with a simple top from Topshop, a gorgeous bag from Accessorize which will be perfect for my upcoming holiday. 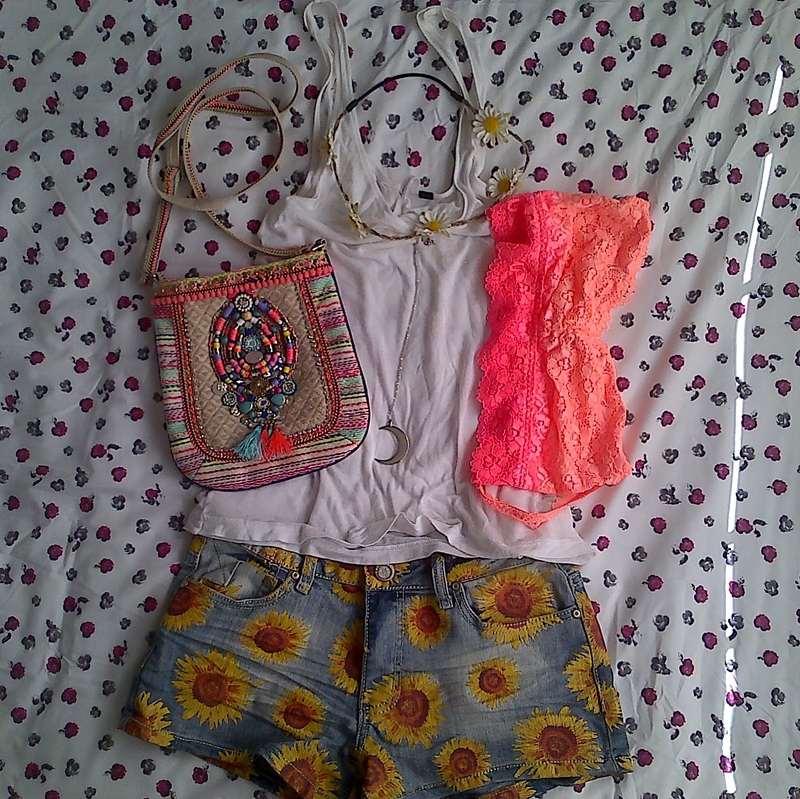 I finished the look with a brightly coloured bralet, daisy crown & a lovely Luna Pendant from Bohemian Dreamer. 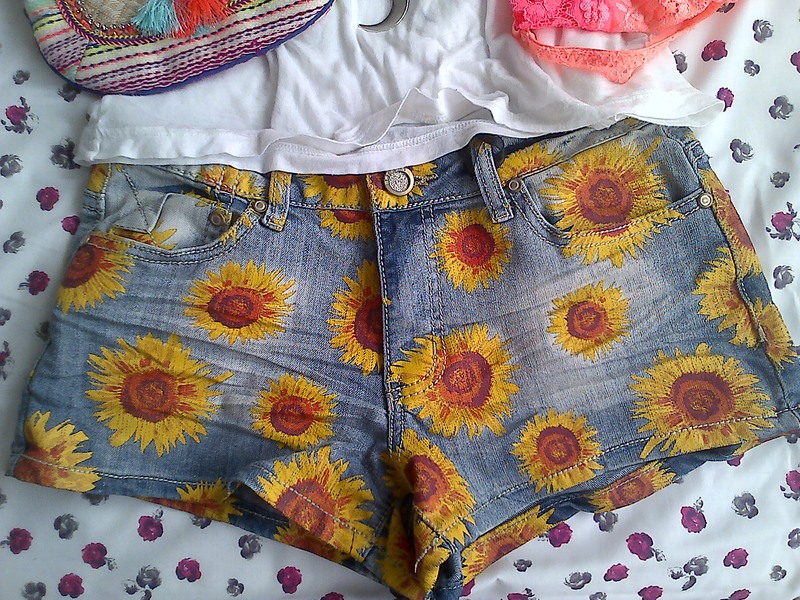 I was utterly in love with these shorts since the moment I set eyes on them. Unfortunately, at the time, they did not have my size. Thankfully, a few days later I managed to snap up a pair in my size. I really can’t wait to wear these! 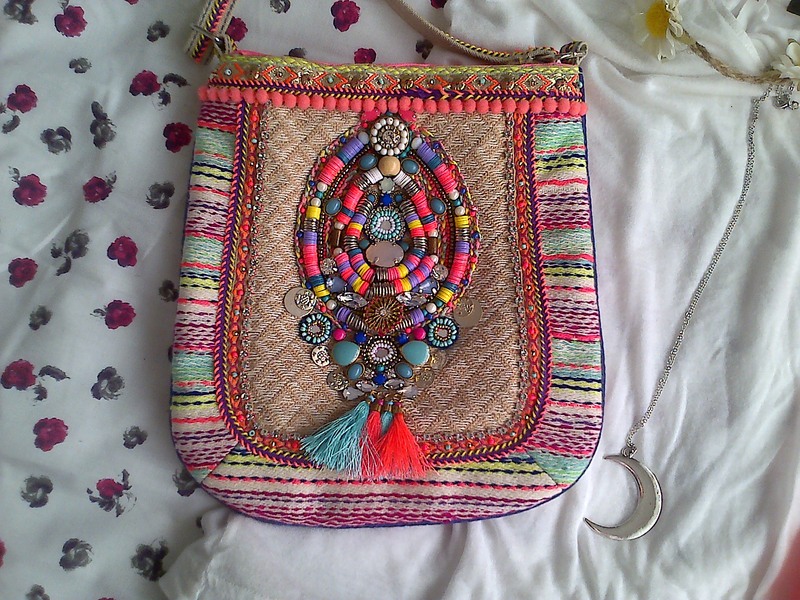 I bought this beautifully detailed bag from Accessorize a few weeks back. I had some left over money in my Pay Pal & well, I couldn’t resist. The colours, the beads…. everything is perfect! So, what do you think? Did you like my first flat lay, is it something you would like to see on my blog in the future? Those shorts are so fabulous they are the first thing I noticed.